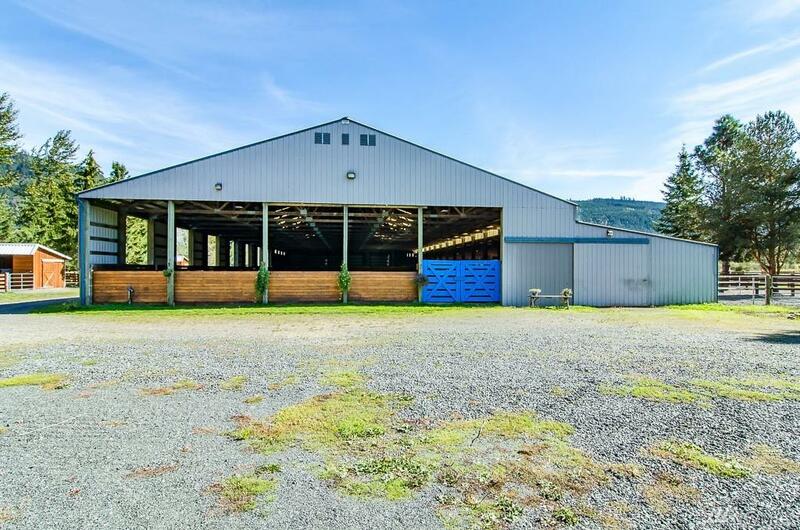 Beautifully designed working equestrian facility on shy 20 acres. 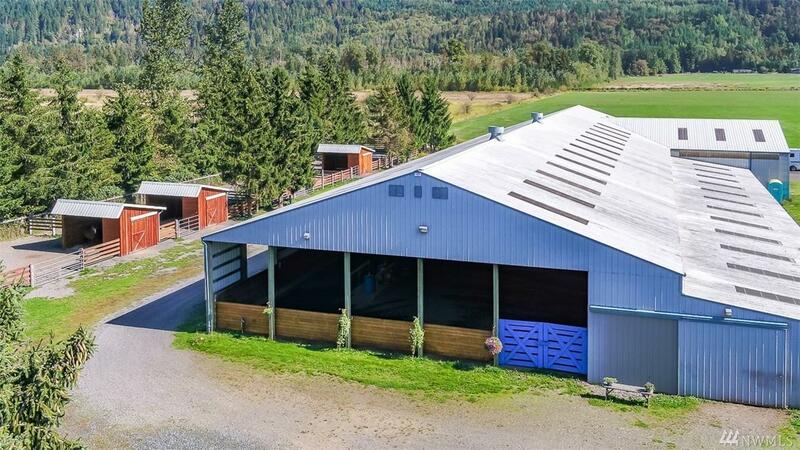 Huge covered space: 150x70 indoor arena with 9 attached 12x12 stalls, tack room, office, wash rack, shavings bunker, hay storage and 50X50 breaking pen. 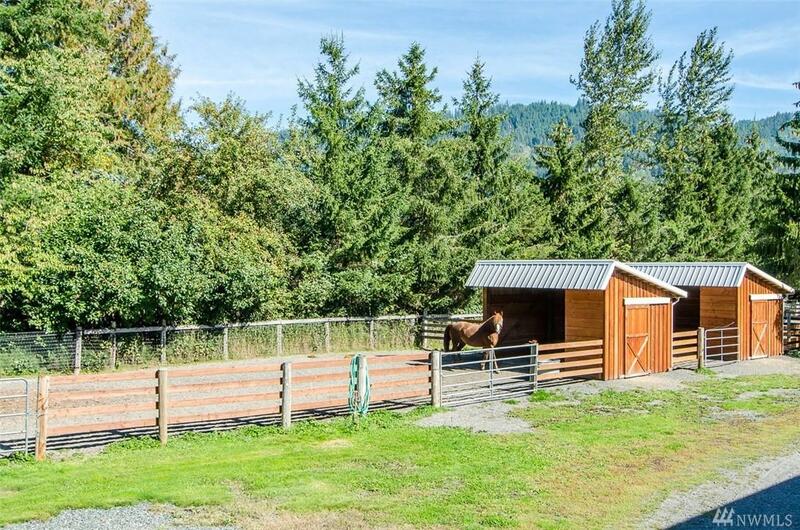 Ample parking, 9 gravel paddocks, run-in sheds, 9 acres of cross fenced pasture, 9 acres in newly re-seeded hay. 2 bedroom, 3/4 bath, living quarters are in a converted pole building. 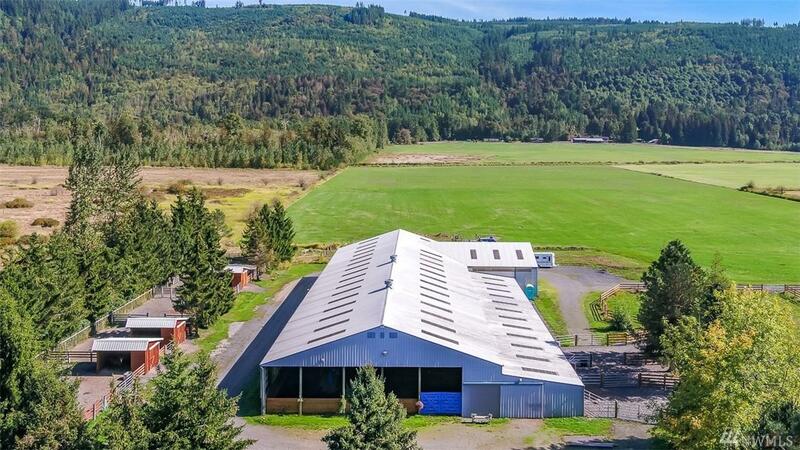 Location provides privacy and expansive views, while close enough to support healthy business.